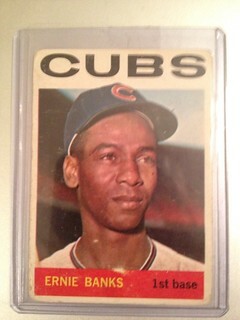 1964 Topps Ernie Banks. Statistically, the third best overall player and the 4th best batter the Cubs have every known. 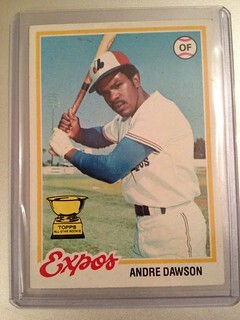 This card is not in great condition, but one of my favorite. Here is to "Mr Cubs"
1970 Topps Fergie Jenkins. 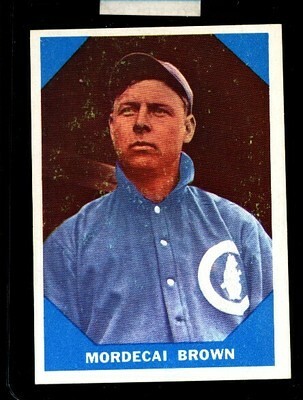 One of the best pitchers the Cubs have every had and a Cy Young award winner. 1960 Fleer Mordecai '3 fingers' Brown. 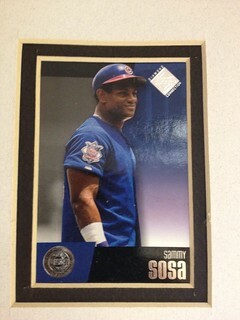 In this photo, just showing the likeness of the Canadian O-Pee-Chee cards and the Topps baseball cards. 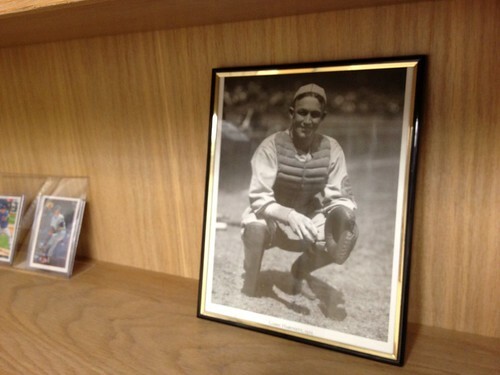 1925 photo of Gabby Hartnett - one of the top Cubs of all time. Four Cubs baseball greats. 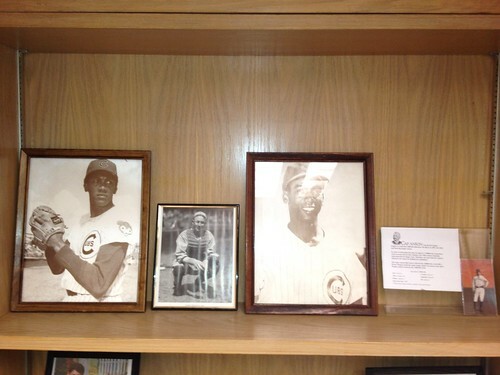 These are are four of the Top 10 Cubs of all time on display at my office. From Left to Right: Fergie Jenkins, Gabby Hartnett, Ernie Banks, and Cap Anson. 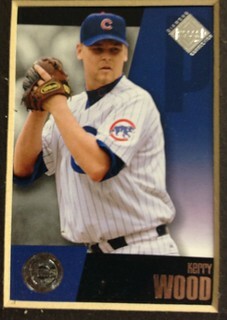 This is a 2002 Upper Deck Diamond series card of Kerry Wood in his prime. It is that time o year again. what to do? Database remake and a good search engine is what I would like to accomplish for the site.